Skill Link has worked with companies throughout Australia by providing a professional consultancy and training service, tailored to the specific company’s policies and legal safety regulations. There are many aspects involved when it comes to delivering an all-inclusive service that encompasses safety, training and compliance on a project worksite. Skill Link has seen first-hand the importance of implementing a system that covers all bases. Whilst we specialise in training and the issuing of High Risk Work Licenses, Safety and Compliance Training for Management and Employees, Skill Link’s primary goal is to ensure that your Management and Employees are working to their full capacity in a safe and productive work environment. This requires an extensive knowledge of the Oil, Gas, Mining, Infrastructure, Manufacturing and Construction Industries and the varying requirements that each workplace has. Skill Links’ objective is to remove concern from your company regarding Safety Compliance and Employee Training, leaving the Company to focus on the task of completing the Project. In order to do so, Skill Link would provide the following services. What is needed to complete a Company’s Project safely? Employees required and with what skills or qualifications – from High Risk Work Licenses, through to on-site Safety Consultancy, Skill Link would put together a team that will offer your company the certainty and peace of mind that your Employees are fully trained and the workplace is a safe place. Policies and Procedures: are in place to meet Government Regulations and Contractual Obligations. If necessary, Skill Link would implement the changes and provide Training to the appropriate Personnel. Equipment required to complete the Project. 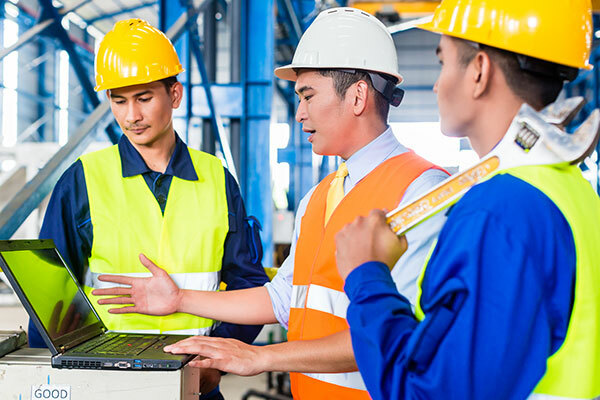 Skill Link will conduct Training, Plant Familiarisation, Verification of Competency (VOC’s) and deliver customised Inductions to your Company’s Employees. To ensure all are qualified to complete their employment professionally and safely. Maintain Employee Training Registers that will provide notifications to the Employer and the Employee on the need to refresh their qualification or upgrade if necessary, to meet Legislative Requirements. Skill Link will work with you to ensure the individual needs of your company and worksite are met and all safety compliance and safety regulations are met.